True innovation cannot be forced, and is often the result of circumstances or a mere accident. Penicillin was the result a petrie dish left out over the weekend. As a musician who has let the strings of an instrument or two detune over the course of a long time, I’ve stumbled into rare inspiration out of laziness (firstly, to avoid my instrument for several weeks; secondly, to fail to take 3 whole minutes to tune it when I pick it up again). But others innovate ways to triumph over difficulty. Blues guitarist, Cedell Davis, is one such man. Though not prominently featured in the film, his appearance in the 2005 documentary, You See Me Laughin, made an enormous impression on me. Amidst a veritable cavalcade of characters–including R.L. 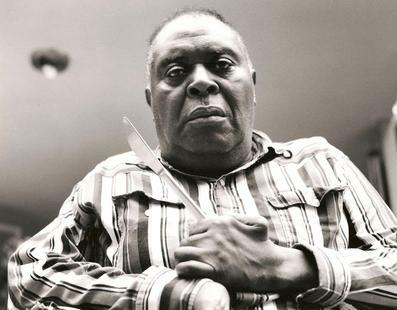 Burnside and his many offspring and admitted murderer T Model Ford–Cedell Davis appears in a small room playing a guitar with a table knife for a slide, clutched firmly in a two fingers of a hand gnarled by a childhood bout with polio, inelegantly moving up and down the fretboard. His picking hand is not as dexterous as other bluesmen; he strums, but not simply. His left hand works the strings, playing the everliving crap out of each chord and note, and his voice howls with great power. Blues are a high-stakes emotional genre–even, perhaps especially, for an old man who was playing guitar before polio mangled his hands at the age of 10–and it’s plenty evident in Davis’ style. But before the Fat Possum film crew came to Arkansas and Mississippi Hill Country and had Iggy Pop and other gush about these dilapidated bluesmen, Louis Guida received a grant to document many previously unrecorded Arkansas blues musicians. Many had appeared on King Biscuit Time, a 15 minute per weekday of country hill blues music from 1941 to the present. 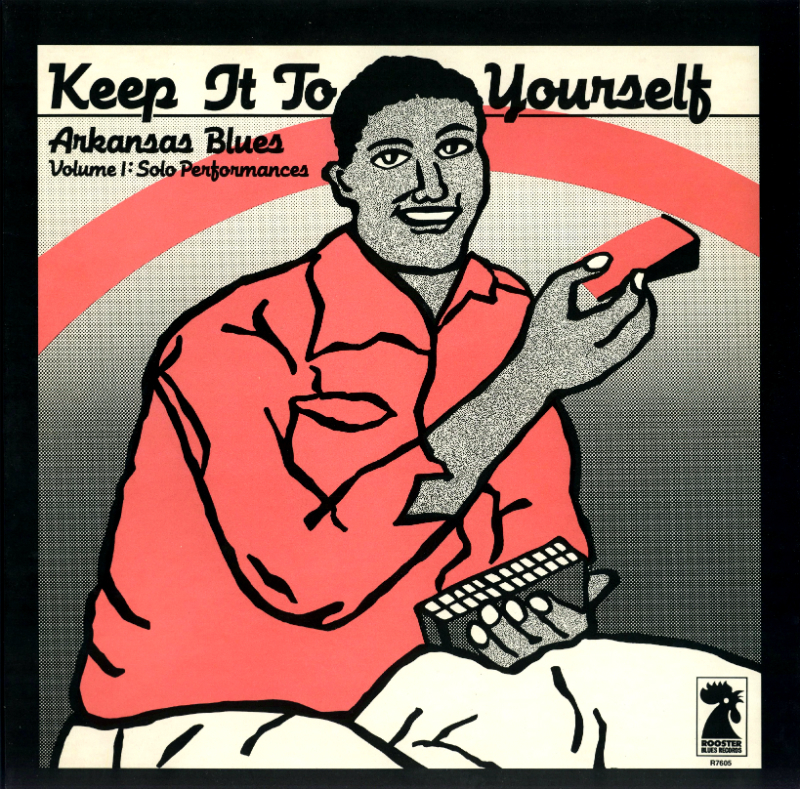 Until the 1960s it was a live-format radio show where artists would perform in studio, then it switched over to a recorded blues format, and later swelled to an hour-long program. In 1976 over the course of eight months, Guida recorded over 50 musicians. 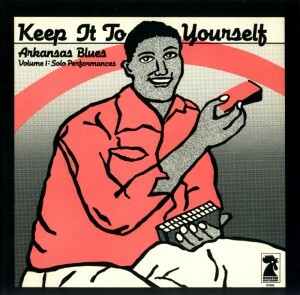 17 sessions and 9 hours of recordings later the result was Keep it To Yourself: Arkansas Blues released by Rooster Blues records. It seems easy enough, probably anyone could sit down and play a guitar with a table knife slide, or mess around with the tuning pegs, but seeing Davis and listening to him truly emphasizes the point that blues cannot be learned or practiced, you have to come by it naturally. This entry was posted in Music, Staff Picks and tagged Arkansas, Blues, Cedell Davis, Country Hill Blues, Marr Sound Archives, Table Knife by Carrie Wade. Bookmark the permalink.